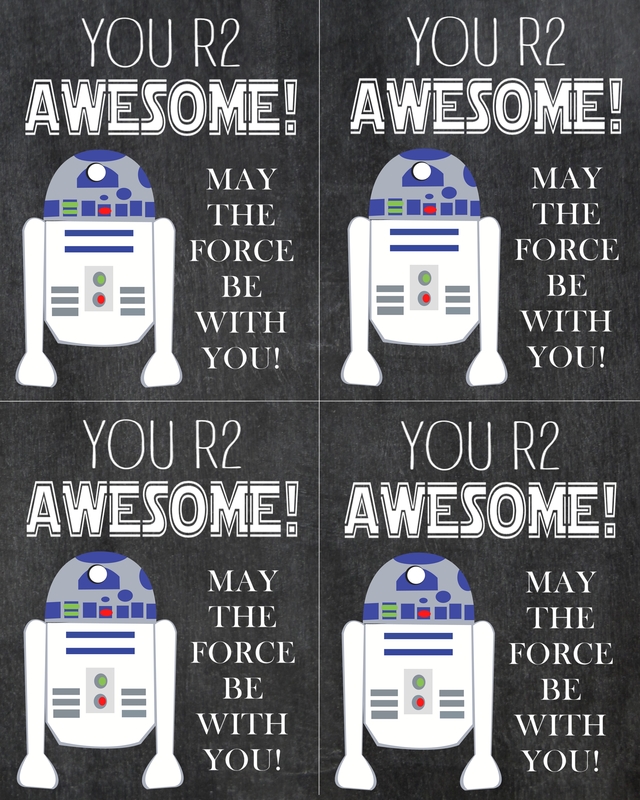 The force is strong with this one…. My Will. He is wild, fearless, friendly, full of energy, and makes us belly laugh on the daily! He also pooped his pants immediately following the picture above……NOT awesome. 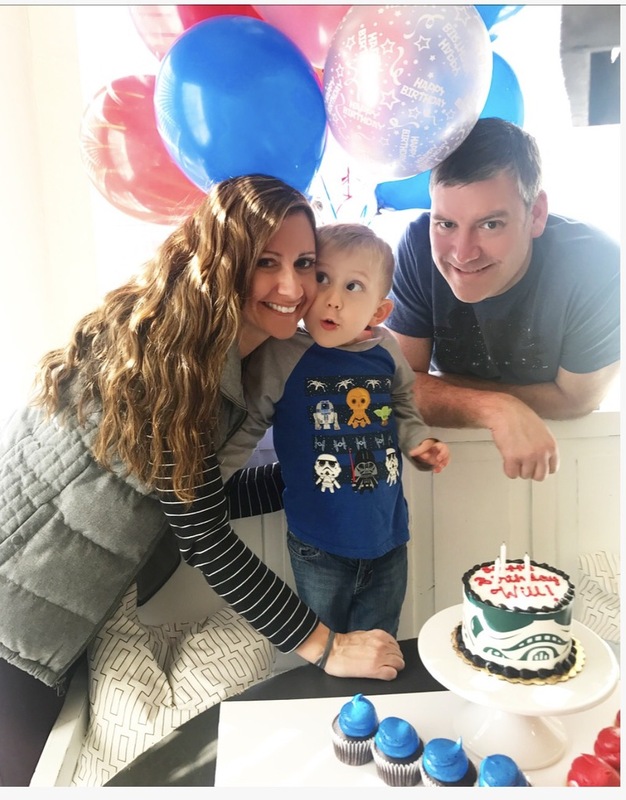 We celebrated his third birthday (and the fact that he’s finally potty trained….all the praise hands!!! )…at the end of January…yup, that’s how behind this Mama is in sharing! 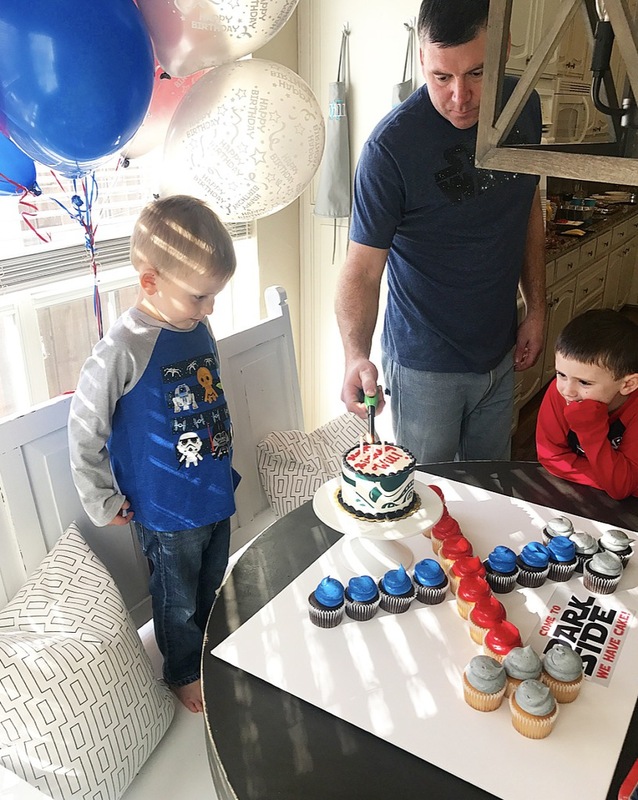 But since I am sharing his birthday big boy bed here today, I thought we could recap his party too! 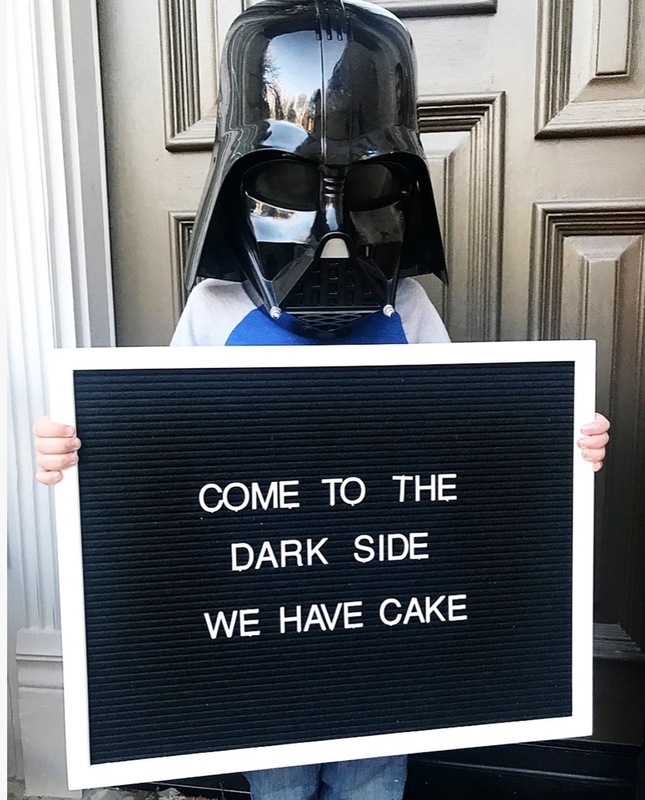 Many of you may have little Star Wars fans in your lives too, so I wanted to share some simple party ideas, and whenever I create printables, I always try to share them here too! All the files are at the bottom of the post. We have always just done a family party for Will. His birthday falls right after Christmas, and we don’t always get to see extended family in December, so we also use his birthday as a time to get together! Will has informed me that next year he wants a party with “allllll his fwends”, so I am going to need someone to remind me in November to book a place!! 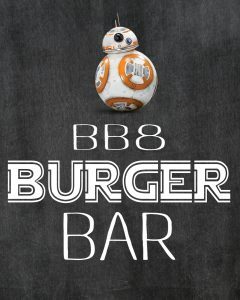 In our area you have to book party places at least 6-8 weeks in advance (suburban mom probs!) and once December hits, things tend to be crazy!! 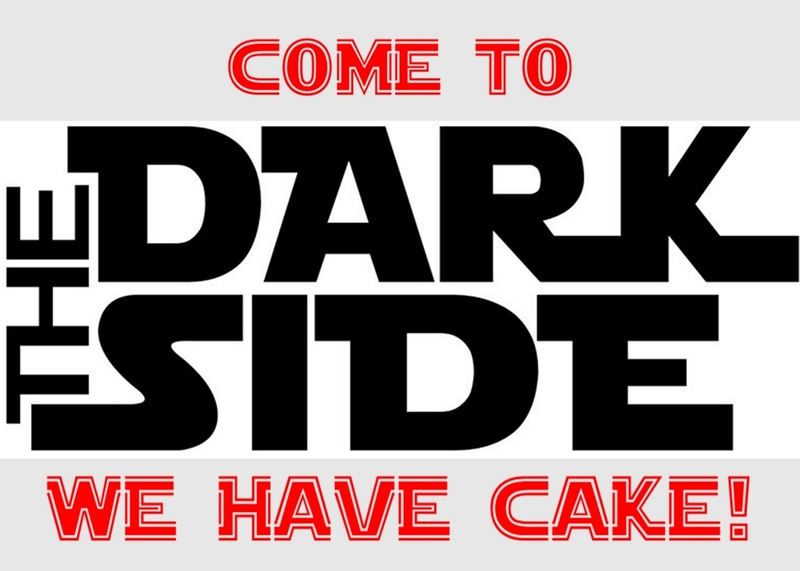 But this year, Star Wars was our theme, and we had so much fun! This was us at Halloween because all the boys in my house are big fans! I opted for the Princess Laei onesie over the gold bikini….you’re welcome! 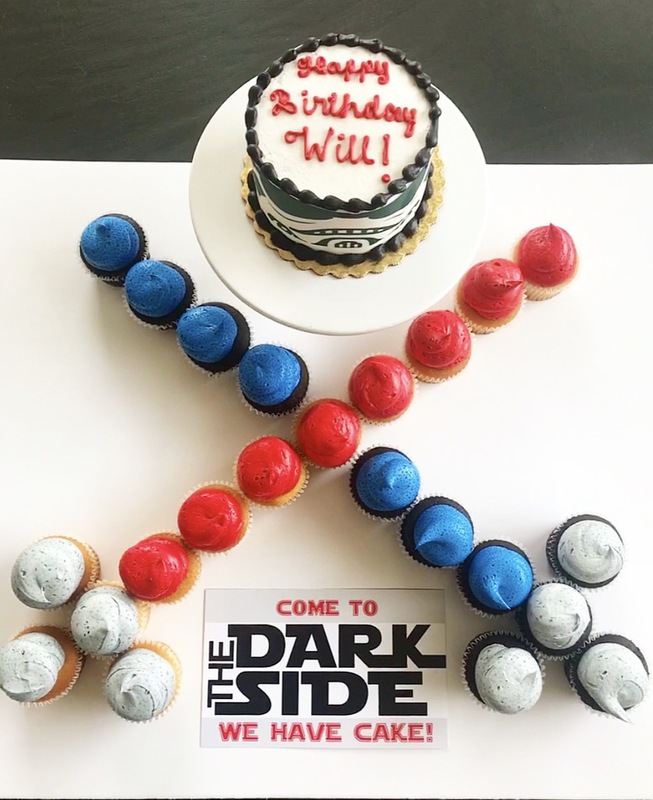 So when I asked Will what theme he wanted for his party, he was still all about Star Wars! 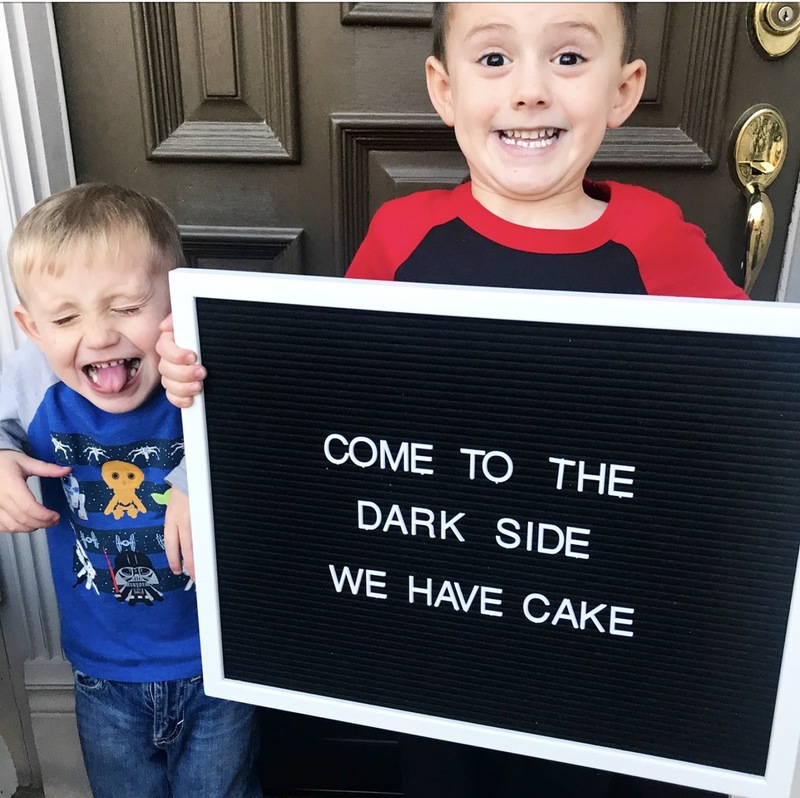 All the cousins were greeted with light sabers at the door and birthday battles filled our home! I ordered a small cake for Will and these colored cupcakes. I arranged them to look like light sabers on top of a foam board, and it was a fun display, and easy way to serve everyone. 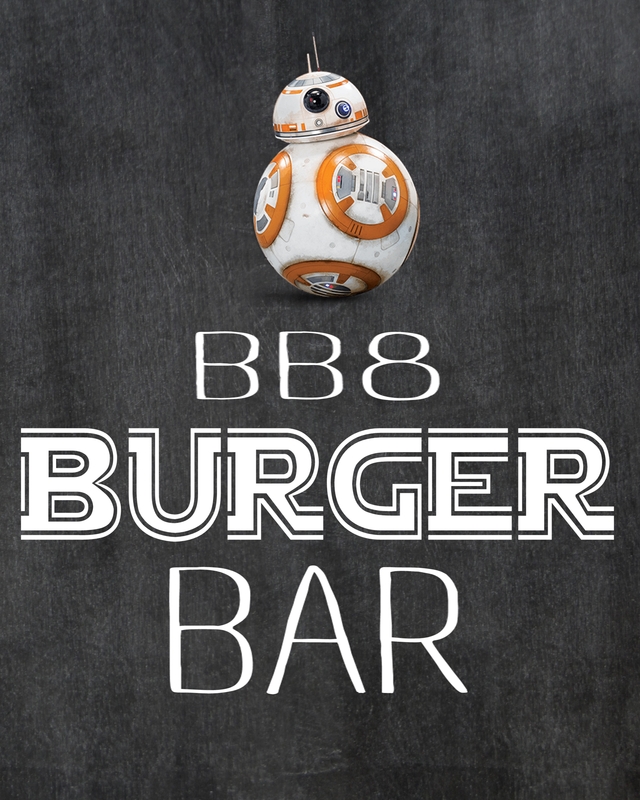 We kept the menu simple with BB8’s Burger Bar. Burgers on the grill (thankfully the weather cooperated!) 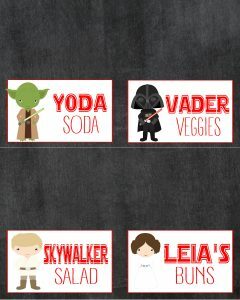 and some simple sides. 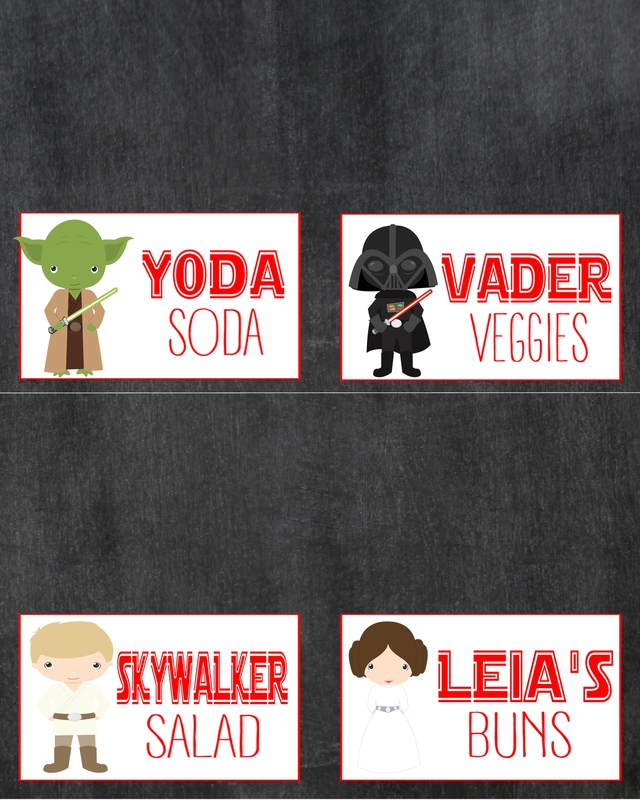 These cards tied each side dish into our theme. Not every dish had a card, but these were fun! 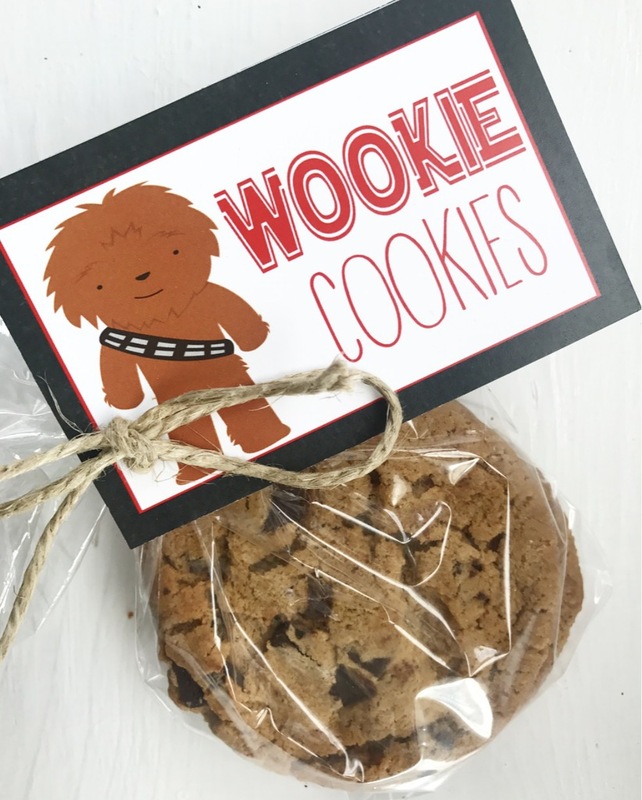 As each person left they also took some Wookie Cookies as party favors. 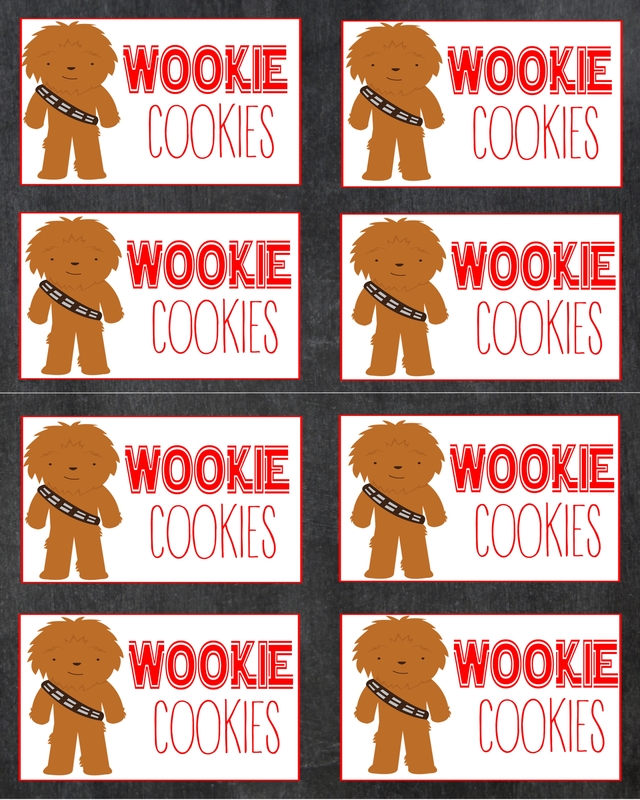 I would love to say I baked all of these, but Mama just ordered them from the bakery along with the cupcakes and cake….keeping it simple! Each year for his birthday I buy Will a book that goes with his party theme. I write him a letter in the inside cover and put it away. 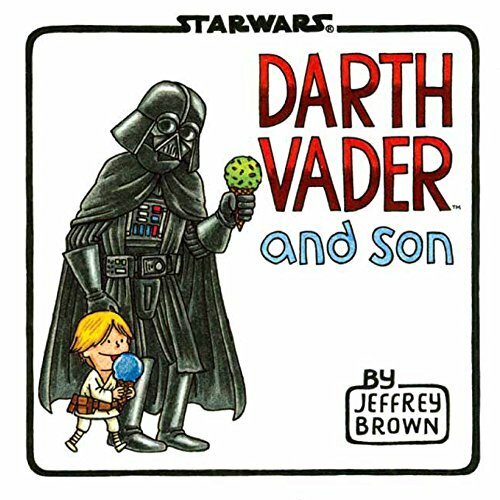 There are tons of cute Star Wars books out there, but I settled on this one. Some day I will give him all these books…maybe when he has a child of his own? I get a little emotional writing his letter each year, but it makes me stop and appreciate what is special about him right now in this moment! 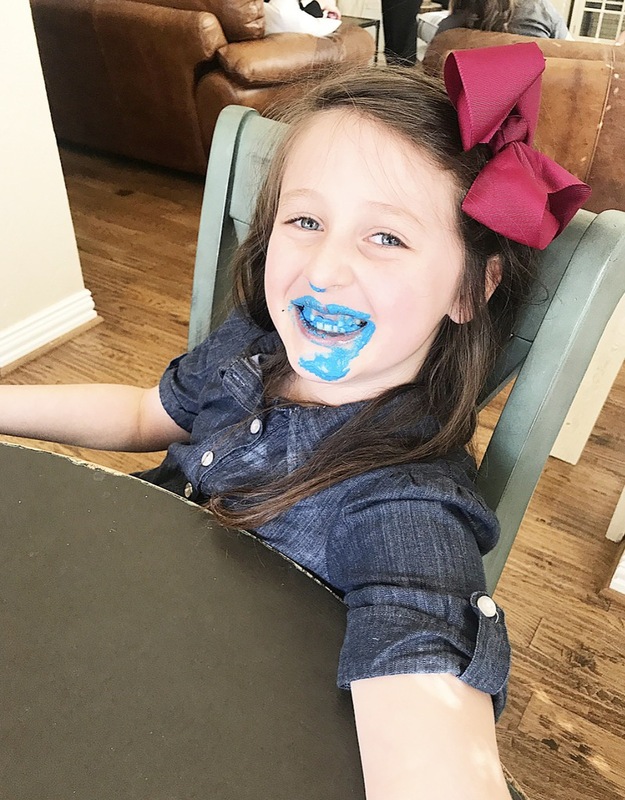 The details I wrote last year are already so different than this year….slow down little buddy! 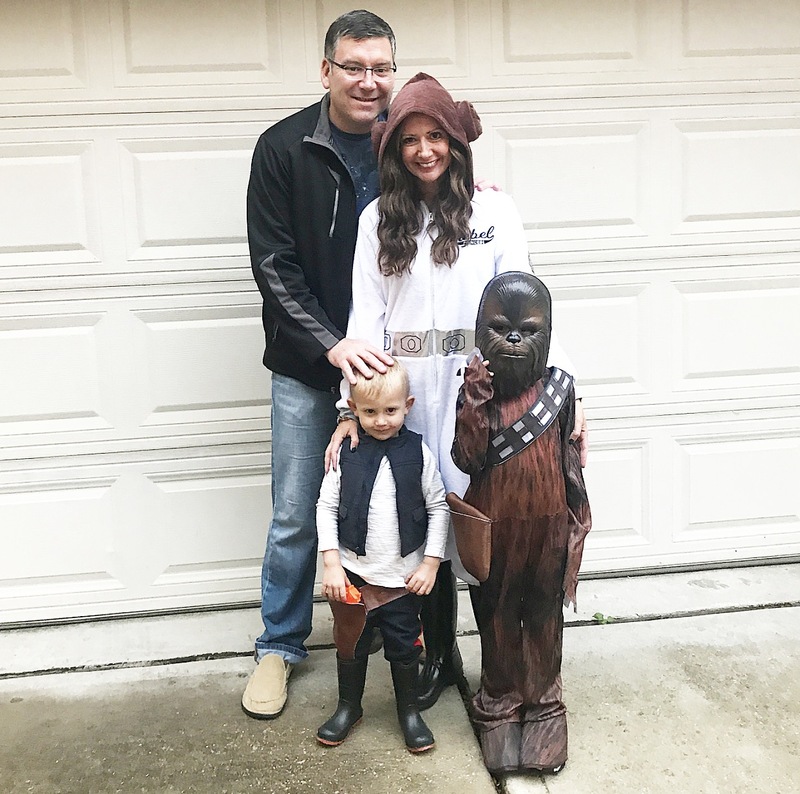 We had so much fun celebrating our little Jedi, and are thankful God gave us such a spirited little guy! 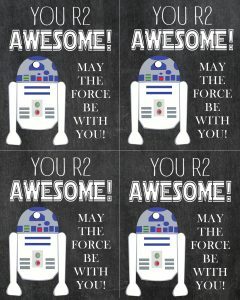 We used these as thank you cards, but they would also make cute favor tags! I can’t wait to see what the next year holds for our Will! 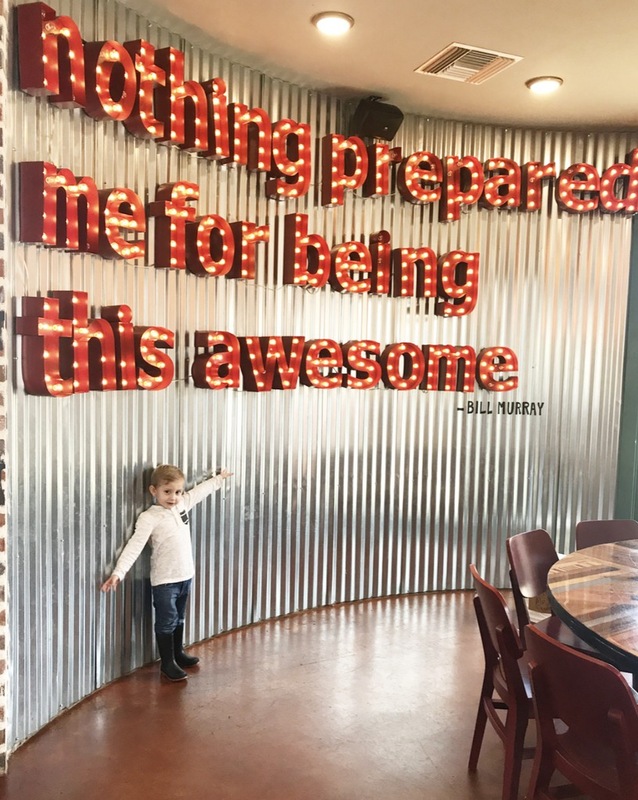 His signature dance the “Will wiggle” might be my favorite choreography ever….and as a life long dancer, that means a lot! He definitely keeps his mama laughing! We love you squishy nugget! 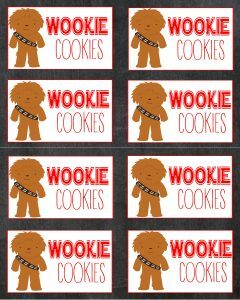 Below are the files for the printables if you would like to use them for your own Star Wars celebration. Just download, save and print. White cardstock usually works best!